We realize the growing alienation, i.e. increased feelings of indifference, helplessness and deep despair among fellow Filipinos when people turn solely to religion or praying as the only way to the betterment of the Filipinos in the Philippines. This act of withdrawal gives validity to what Karl Marx has stated a century and a half ago, his famous description of religion as–though incompletely quoted and understood- “the opium of the people”. If one reads Marx as such completely, we see that Marx meant that religion creates illusory fantasies for the poor. Economic realities prevent them from finding true happiness in this life, so religion tells them that this is OK because they will find true happiness in the next life. Marx agrees that people are in distress and that religion offers solace. [Just as physically injured people receive relief from opiate-based drugs, i.e. codeine or morphine. Marx’s statement is a critique of a society that has become heartless. For him, the problem lies in the obvious fact that an opiate drug fails to fix a painful injury – it merely helps you forget your pain and suffering] which is fine to a point, but only as long as you are also actively trying to solve the underlying problems causing the pain in the first place. Given the Filipino predicament and in the absence of other significant factors/forces for fundamental changes, the primary goal of religion (most especially of the Catholic Church, being the largest) in the Philippines today should be to make a greater effort and time to promote and put into action its social teachings : such as seeking justice for the weak and poor [Pope Leo XIII -1891]; for creating greater awareness and pursuit of the common good of society [Pope John XXIII -1963]; and participating in social and political reform for their liberation from the structural roots of injustice [Pope Paul VI –1971], etc. The immediate task of clerics and leaders of the Catholic Church is to stop treating its followers as children, stop preaching that being miserable, impoverished and oppressed in this world are good for their souls and that they will be rewarded in the hereafter. 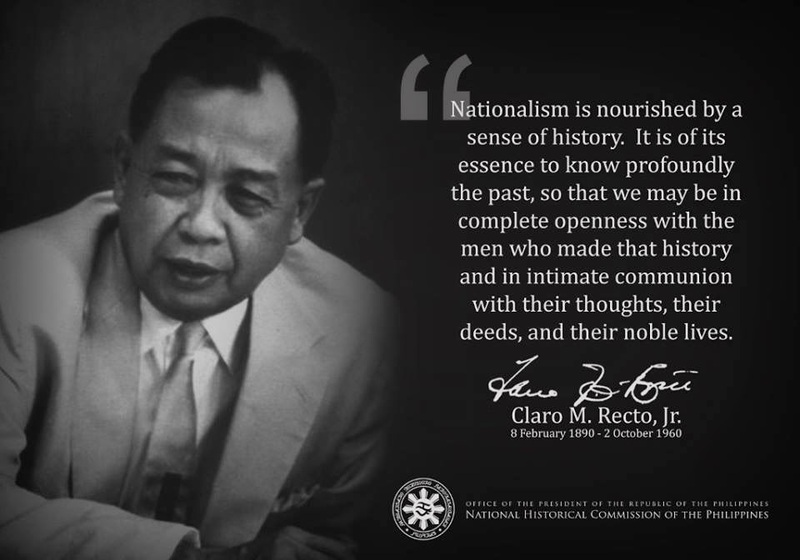 Their mission to themselves and their educated followers is to gain knowledge and understanding of the causes, not just the symptoms, of the Filipino predicament and to share with their impoverished fellow citizens this acquired knowledge. However, the churchmen do not have to or should NOT run for public office. Note that this goal is in contrast to some members of mainline Protestants and religious fundamentalists (Pentecostals,etc) whose sole concern is their individual salvation [not correcting society’s ills], which is consistent with Protestant teachings that resulted from the Age of Reformation: “A Christian has no need of any work or law to be saved since through faith he is free.”.- Martin Luther That is, one is not saved by his good deeds but by faith alone. I call this "selfish individualism." However, this is another story. If you do not believe that Jesus Christ came into this world to give us LIFE, do not proceed. DELETE. Karl Marx and Jesse Ventura were right about religion. Religion is man's invention to exercise ungodly control over others. Politics is actually a branch of religion. So are corporations. So is a family. In the name of "their religion" innocent civilans in Iraq and Israel are killed, murdered by "suicide" bombers. Why would anyone want to kill oneself and take along as many others to death? Answer: religion. Predominantly Roman Cathholic countries are economically poor because of the church's teaching of poverty and suffering as "pleasing" to God. The TRUTH is Jesus who is "THE WAY, THE TRUTH and THE LIFE" came that we "might have LIFE and have it ABUNDANTLY". Abundant life is when ALL YOUR NEEDS are met. Only God can do it. Katrina showed us that the resources and power of the goverment, local, state and federal FELL SHORT of meeting the needs of the AFFLICTED. Only GOD can meet your needs, your SPIRITUAL need, your EMOTIONAL need and your MATERIAL need. Religion indeed is the opium that momentarily deadens the pain of living. Religion is a crutch that enslave [by Satan] people use to "live".